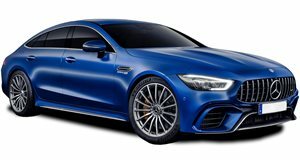 Will The New Mercedes-AMG GT 4-Door And CLS Compete For Buyers? Both are luxurious four-door coupes, but there’s one big difference. Up until recently, there was the Mercedes-AMG CLS 63. But now it’s gone, replaced by the wonderfully bonkers Mercedes-AMG GT 4-Door. However, there’s also an all-new CLS-Class and CLS 53 AMG just hitting the market. Question is, will having two four-door luxury sedans create internal competition? GoAuto recently spoke with Mercedes Australia/Pacific PR and corporate communication boss Jerry Stamoulis who explained why the automaker is confident that internal clash won’t happen. “Where our CLS 53 range will be the top of the range for CLS, the GT 4-door Coupe is a much sportier option, where we’ll have a 63 S, nought to 100km/h (62 mph) in 3.2 seconds, it has rear-wheel steer, technology similar to an AMG GT-R, so it’s that next level above an E 63 again, but with a four-door coupe styling.” While the CLS 53 AMG will come powered by a 3.0-liter twin-turbo six-cylinder with 435 hp, the GT 4-door coupe has a 4.0-liter twin-turbo V8 producing up to 639 hp. Another major difference between the two vehicles is pricing. 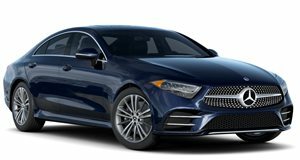 The CLS 53 AMG will start at around $78,000 while the top dog AMG GT 63 will hit close to $150,000. Stamoulis also mentioned the fact that different types of buyers will be attracted to one vehicle, and not likely the other. “A CLS customer tends to come from within our brand. I’m sure it’s one of those vehicles that people want to see and want to drive, or order something that they specifically want,” he said. GT 4-door buyers are far more likely to shop around. For example, they may also walk into a BMW dealership to check out the also upcoming M8 Gran Coupe. AMG opens a new frontier with their third bespoke model.